While it's almost cruel to make a headliner truly headline at the end of a long festival day, Drake certainly gave the people what they came for when he performed at the 2015 Governors Ball. While some fans — who I'm guessing wanted Drizzy to shut up and play the hits — made a mass exodus once it was clear that Drake was going full on with the new stuff off his latest mixtape If You're Reading This It's Too Late rather than hopping right into getting everyone hyped up with "Started From The Bottom," others were eating up every second. 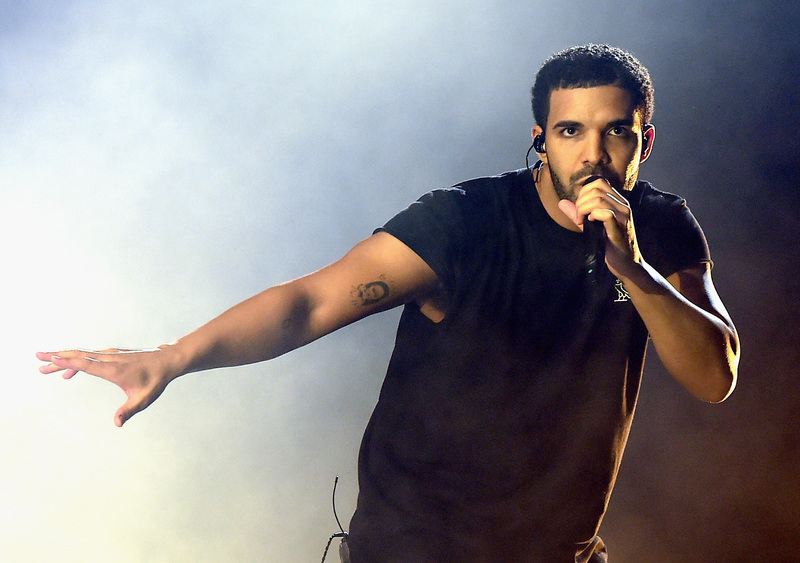 But along with the privilege of seeing the Canadian rapper do basically whatever he wanted on stage — at one point he even said he knew the crowd wanted to "turn up" but that he had to talk about "candles and showers and s**t" first — came a sneaky "announcement": Drake teased new collaborations & the imminent release of his new album Views From The 6. Of course all he said was that it was "coming soon," but fans did get something else a little more concrete: After giving a little shoutout to The Weeknd during "Crew Love," the rapper said they "might have some new s**t" coming. Many fans took this to mean that The Weeknd & Drake are collaborating once again — something I think we can all get on board with, superfans and just regularly excited fans alike. Of course, aside from all the excitement over this sort-of news (I mean, we all knew that Views From The 6 would come out eventually, right? And how could Drake not collaborate with The Weeknd again? That combo is nothing if not absolutely perfect. ), was the debate over the issue of Drake's pants. Not everyone was upset about it though. Leave it to a tired, sunburnt festival crowd to witness a really fantastic performance, along with a little intel about future music, and let it all wind back to a pair of tight pants.